Start creating the life you imagine — one free weekend at a time! For Daleen Qazilbash, time is simply too valuable to spend in ways that keep us from fully enjoying our lives. 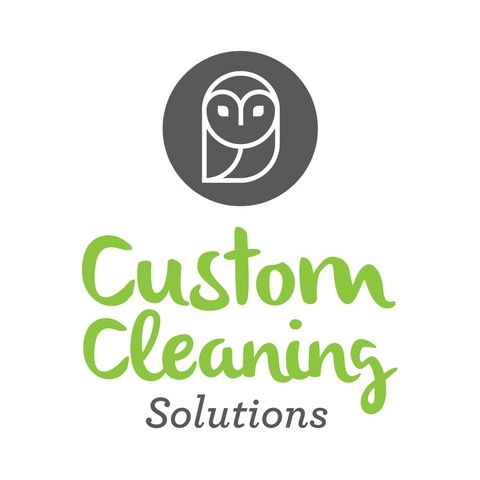 Daleen and her amazing team at Custom Cleaning Solutions are here to lift the burden of housekeeping so you can live your life more on your terms. They begin by asking you the right questions, so that they can clean your home, office, or job site according to your needs — right down to the fan blades! 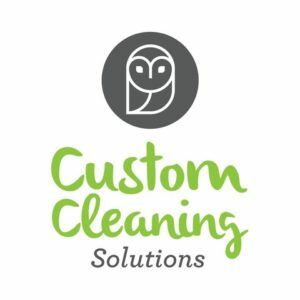 Thorough, skilled, and efficient when it comes to making your world shine, the experts at Custom Cleaning Solutions also know that establishing a customized home care program is about more than pristine surfaces. Ultimately it is about having a healthy and balanced lifestyle, and sustainable spaces for people, pets, and the planet — including our beautiful valley. I was longing for a more balanced lifestyle. I have two active boys at home and I really didn’t want to be spending more than nine hours a day, five days a week, outside of the home. When I wasn’t working I was cleaning the house, shopping, organizing the kids activities, et cetera. I was lucky to have a few minutes to myself at the end of the day. Yes, that is so true! Client preferences do vary and that’s why we start out by having our clients fill out a comprehensive form. As for common concerns, we often hear that people struggle to keep up with the deep cleaning of bathrooms. We have also noticed that clients like to hand over the cleaning of floors, baseboards, and windows, as these are time-consuming and labour-intensive tasks. Well, I have taken up a fairly extreme hobby as an adult, and it involves dirt! A few years ago I bought myself a dirt bike, never having set foot on an ATV. Since then I have fallen in love with off-road trail riding and last year I even entered a few hare scramble races. And now I’m hooked! Pamela Lynch believes your book matters and encourages you to hone your skills as a unique storyteller. She guides you through the book creation process from concept to celebration. Pamela’s commitment is to help you birth your book and share it with your audience. This is a path she knows well. The creator of Alesia Publishing, Pamela married her 31 years in traditional book publishing with her love of Universal Laws and ancient wisdom to launch a niche publishing house. 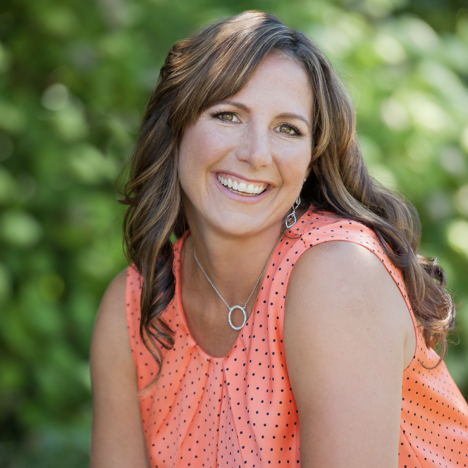 She works with coaches, healers, and change-makers who focus on transformation for themselves or their clients. Pamela also specializes in working with elders to capture their story in the form of a legacy memoir. An intuitive, collaborative leader and “book whisperer,” she sees the highest potential in others. Pamela’s mission is to work with people whose passion is to share their wisdom. Pamela thrives on collaboration and a profound exploration of freedom. She sees the stories from our past pain and the alignment with the dreams our soul is nudging us to pursue. She’s dug into her own story only to see her purpose revealed, and is very familiar with the joys and challenges of looking within to find one’s truth. Pamela offers a 64-day writing and accountability program and fun retreats in exotic locations. These help you stay connected to your story and the writing process. We were thrilled to chat with Pamela to learn more about her vision to connect people to themselves and to others through the power of their stories. Your first online master class is rich with guidance and insight. Let’s start there. One combination of ideas that stuck out for me is the desire for freedom. What fundamental freedom do are we seeking, and how will telling our stories help to put it within reach? We speak and think in stories, and are storytellers just like our ancestors who passed stories down through the ages. Telling our stories connects us to our past, and we create our life from that perspective. When we are willing to change and shine the light on our story, we illuminate the truths, and the lies, that formed sub-consciously in early childhood. We become open to questioning the very tales we sought so hard to protect. When we are aware of our limitations, we realize that we have the power to change our story to one that matches our true desires rather than embracing one that is comfortable and familiar. When we are feeling unfulfilled, it is a nudge from our Higher Self to alter our story to come into alignment with our trajectory to live our life’s purpose and experience freedom. The freedom comes after we acknowledge it is a great privilege to be the creator of our story. You explore a very powerful double-barrelled obstacle to completing a book: distraction and doubt. A client comes to you, ready to write but caught between the competing desires for both change and certainty (which you juxtapose quite wonderfully). How would you put them at ease in order to move forward? Our desires for certainty and uncertainty seem to be conflicting, but clients come to understand they fuel us in different ways. The desire for certainty arises when you have a dream or an idea, and the doubter shows up to keep you safe yet undermines your desire. There’s a wonderful process I share to invite the doubter to be an ally rather than foe. Clients also learn the eight ways we sabotage ourselves and how to modify the behaviour that takes us out of the writing process. This is an exciting time in your life, as you are enjoying the culmination of many experiences and challenges over decades that have prepared you to help others. Let’s focus on one. How did connecting to your own story prove to be such a pivotal moment on your journey? Earlier I alluded to using ancient wisdom in my business. Humans are born to see patterns and one of the ways we can see and understand these patterns is through numbers. Ancient civilizations used math to solve complex ideas, and many of us have forgotten that we can attune to the energy of the numbers. After being introduced to numerology two years ago, my Divine Purpose Blueprint revealed my higher purpose, gifts, blessings, strengths, and obstacles. It changed everything for me. You are holding a Divine Wisdom Writing Workshop this month. This event sounds wonderful! Tells what participants can look forward to experiencing or discovering about themselves. The Divine Wisdom Writing Workshop invites participants to access their creative energy. We use meditation to tap into the collective field where the book they want to write already exists. Clients will create momentum in their writing process by being in a 64-day manifestation cycle, during which we will meet twice a week. Our first meeting each week is a class to gain practical advice about the writing process. Clients will receive laser coaching to bring awareness and clearing to the patterns that get in their way — doubts, fears, and saboteurs. The second meeting opens with meditation to get clients writing in the collective energy of a co-working group to fuel their creative genius. One of the bonuses clients receive is a Divine Purpose Blueprint report, which I shared earlier helped me to identify and embrace my purpose. Sharing this data about their personality with them is a massive advantage to us both. I also used numerology to name my business by ensuring its name aligned with my higher purpose and my clients. Every letter of the alphabet is assigned a number. I share this pattern in the program for authors to use the same process to align their book title, so it resonates with its readers. Care to share an interesting fact about yourself that most would not likely know? Kasia understands how past stories, programming, and belief systems can block and limit the potential for living fully and happily. Not only is she educated/certified in transpersonal psychology, life coaching, Akashic Records reading, neuro-linguistic programming, Specialized Kinesiology, Stress Indicator Point Systems (SIPS™), Time Line Therapy™, Thought Field Therapy (TFT), and Reiki, but she has gone through her own long healing journey and discovered why “ticking all the boxes” of life did not leave her feeling fulfilled. Kasia fully admits that she is not for everyone. 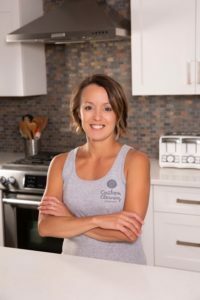 She is feisty, forthright, and fun, and absolutely here to help other women over 40 who are determined to gain self-knowledge, trust themselves, and move toward what they want. She has attained mastery over her own rollercoaster monkey mind and is ready to help you with yours. So we were thrilled to learn more about her and how she rolls (pun fully intended). I remember my female friends in university. They seemed wild, fierce, and unapologetic. But more and more I hear about women roughly my age who are struggling to live authentically. The outside world has no shortage of pressures, I know, but what happens WITHIN women by midlife that hijacks their true selves? Life happens, and it can be so hard that we forget our true nature, which takes the wind out of our sails and makes us feel like we are drowning. But it starts early. There are so many expectations, belief systems, programs, traumas, and epigenetic influences that get heaped onto us as soon as we are born into this world. We may have dreams and goals and yet feel so incapable and unworthy of them because of all that crap that bogs us down and makes us forget that we have a choice and that we are actually really powerful. For so many women life becomes what they believe they are expected to do. They get a career, buy a house, have a relationship and then kids, have friends, support their kids’ interests, et cetera. At the same time, they try to deal with their emotions and take care of their bodies, and this can often feel like an existence more than a thriving life. They feel like they should be happy but deep down they aren’t and this carries with it secret shame. After taking care of everyone else, they feel they’ve lost themselves. They know they are meant for more, but the shoulds and expectations have eaten up all their time and energy, leaving their bodies tired and sick, their brains foggy, their sleep patterns compromised. They yearn for more meaning and joy, and try a bunch of things to help themselves, but this only chips away at the problem and makes them feel they are doing it all wrong, losing traction and momentum towards their own dreams. Right around age forty they are faced with a midlife funk and that craving for more from life becomes too strong to ignore. They begin to choose and invest in themselves and their own well-being. This means asking for help and being willing to receive it, so that they can truly commit to the healing work that reconnects them to their own spiritual journey, helps them to say yes to making an impact, and removes the layers that keep them from remembering their wholeness. You offer many modalities — Specialized Kinesiology, art channelling, and Akashic reading work — but where do you start? What do you look for in the women who seek out your services, and what is the essential desired outcome? I’ll start with your last question. My deepest desire and vision for our world is that we stop passing down our pain to our future generations. This is why I do this work and why I’m so dedicated to learning about mental, physical, and emotional health and mastery. I believe we are never broken. We simply forget how powerful and capable we are because life puts layers of limitations, beliefs, programs, and conditioning on us. The more we know and understand how we work and how the Universe works, the easier it is to embrace our own power and make decisions and choices to help ourselves and others. We heal, grow, and thrive faster when we take a holistic approach and include the mind, body, and spirit. I work with a 4-stage model of the healing journey and I tend to work best with the women who are at stage 3 of healing: they are truly ready to finish healing rather than just dabble in another thing that sounds cool. These women have been on the spiritual path for some time and no longer believe they are victims of their past. They are ready to work with me to take responsibility for healing their pain. This doesn’t mean any of it is their fault. It simply means that they are finished living with it and are ready to do whatever it takes to feel better, to remember their wholeness, and no longer carry the past like a concrete backpack. They are ready to step onto the growth and thriving path; to become the version of themselves who trusts, believes, and takes action with confidence; and to make an impact and be recognized for it. This doesn’t happen overnight, but it can happen faster than you think. Healing doesn’t have to take a long time and doesn’t have to be hard work — but you’ve got to be ready for full commitment and participation. I don’t tend to attract women into my practice who are still committed to their pain and suffering. I love the integration of Specialized Kinesiology and the Akashic Records in my work because it allows me to give both the body and the soul a voice, understand what they want, and help women to release the layers of stress, trauma and drama held in the body and energy fields so they can move into possibilities and potential. This involves identifying limiting beliefs and feeling their backlog of emotions in a way that releases them rather than fuelling and perpetuating them. It’s a wild emotional ride at first because so many women feel unworthy, not good enough, and are easily triggered by their circumstances. They just want to know what to do and have the courage to take that first next step. My clients also learn about neuroplasticity to rewire their brains and bodies for the habits and beliefs they want to have. I guide my clients to avoid and navigate the post-healing apocalypse loops of habit, behaviour, thought and emotion that are so easy to slide back into while on this path. They uncover their own definitions for success, impact, spirituality, self-love, and connection. They cross bridges of change and build strong foundations on which to build their lives after the healing work is finished. They become the self-trusting versions of themselves that fully believe in their missions and purposes, trusting that the process and the Universe will have their backs and illuminate their paths in divine timing. This brings us back to your first question. The Akashic Records — the quantum Universe’s information field, or vibrational archive of the soul’s path — are usually where we begin because they offer clear insight into the purpose of the patterns and struggles that my clients have. The Records fill in the blanks and explain a lot about why my clients find themselves in the circumstances they do and what they can do to shift and redirect towards what they want instead. We then turn to Specialized Kinesiology to identify and remove the muscle memory of stress and old programs from the body and energy field. 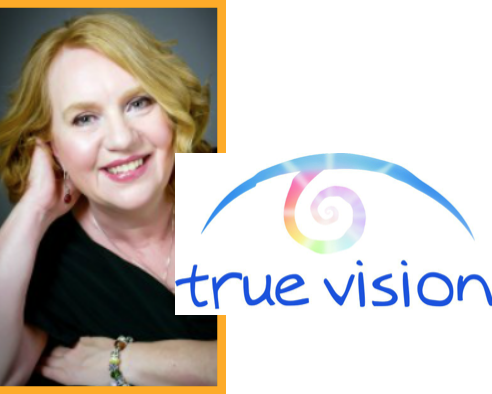 We continue to work with both the Akashic Records and kinesiology to peel back and release the layers that are no longer necessary for the client’s growth and focus on what the client wants to create in her life. I know you also have also studied business communication and love to connect by speaking and reaching out to people through your podcast. Tell us a bit about this work! I love to speak and teach. In fact, according to my numerology I am an innovator and I am meant to teach what I learn. Over the years that I’ve been doing this work, I’ve created many resources and tools (videos, courses, articles, flowcharts, and more) to help women navigate the mental and emotional rollercoaster. To this day, I use these whenever I myself need them — because they remind me that I’m in charge. Many of these are free on my website and my YouTube channel. I also host a podcast called Permission Granted Podcast with three colleagues, and we discuss topics and concerns that matter to women today. We’re scattered across North America (New Jersey, Minnesota, and British Columbia) but manage to coordinate ourselves every couple weeks to record our episodes, which are available on Soundcloud. It gives us a way to connect with each other and support each other as we live our lives and run our businesses — and to support other women who are seeking a community and are ready to thrive and lead in their lives unapologetically. 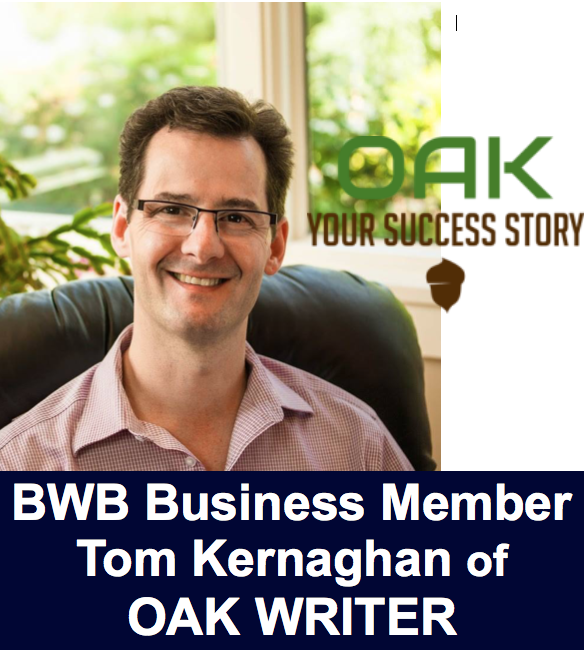 I remember your talk at BWB’s Storytelling Tuesday a few months ago. It was honest, engaging, and powerful — very much related to the work you do. Can you tell our readers a little about how your journey has inspired your passion to help other women? I had no idea why I was unhappy. As I saw it, I hadn’t really experienced any trauma and thought that only people who had “bad things” happen to them were unhappy. My family immigrated from Communist Poland to Canada when I was nine years old, and then my parents got divorced when I was a teen. And like many teen girls, I had body image and self esteem issues. But otherwise, over the years, I felt like my life was okay. That changed after the birth of my children, when I experienced horrible suicidal postpartum depression and saw no meaning in my life. I felt a lot of shame about this because I had so much to live and to be grateful for — my amazing husband, my healthy kids, my family, my job, my home — but I felt incapable of feeling any gratitude. I wanted to escape because I felt trapped in my life by responsibilities and expectations. I hated being alive. I hated being a mom. I thought life on this planet was a sick joke, and felt like a victim of circumstances and suffered deeply. I didn’t know how to handle my negative emotions and so I numbed myself to them and pretended they weren’t there. The problem there is that we can’t selectively numb ourselves and so I couldn’t feel any joy either. I tried counselling and antidepressants but when I didn’t feel any better after a month or so, I knew there had to be something different. One night, as I contemplated how one actually ends one’s life, I heard this voice in my mind that said, “You created this, and you can uncreate it.” I was blown away by this thought. Although I had no idea how I would change my life, I was relieved that there may be another way, a better way. Then I discovered the work of Dr. Wayne Dyer and began devouring all this teachings. None of it made sense at first, but I felt compelled to keep learning. Incrementally I felt better and better all on my own. I began following the crumbs of inspiration and one thing led to another. I read more books, took programs, and met people who showed me how much potential and choice I actually had. I went back to school to get various certifications and a master’s degree in psychology. I began working with other moms who wanted happiness but didn’t know how to go about it. I was intrigued by neuroscience and energy work. By following these crumbs, I continued to help myself, to discover my own spiritual path, and I was able to fully heal from my depression and my shame. I firmly believe that we are always whole but life causes us to forget this, and that by choosing to walk a healing and a spiritual path we remember our wholeness and take charge of our own power. What do balance and well-being mean to you? I used to think that balance meant every slice of my life pie had to receive equal amounts of my attention and energy. This was crazy making and impossible because inevitably something would slip through the cracks. It was when I honestly looked at what was important to me and what I wanted to say yes to that I was able to balance my life more easily. Some slices of my pie get a lot more of my attention than others. My family and my mental, emotional, and physical health are the most important, and next is my work and my community. There are other smaller slices, of course, but they are not priorities as such. By being clear on the true priorities I can manage and dedicate my time and energy accordingly. Sometimes one slice requires all of my attention and I know that I can easily give it because the other slices are also taken care of. All that to say that balance to me means knowing what’s important to you and having the energy to devote to those priorities. This knowing brings a sense of peace and freedom because it’s easier to say no to things that don’t fit and yes to things that matter. Well-being means feeling content and settled in our own life and trusting that we can take care of what we say yes to and also be taken care of in return. Now for the fun finale! Care to share something quirky or interesting about yourself that our readers may not know? Ha ha. I feel like I’m pretty much an open book! Speaking of books, I love to read and I usually gravitate towards stories with happy endings and warm fuzzy emotions. I don’t like to be scared or stressed out when I read! So, when I do come across a book and I don’t care for the ending or I disagree with the author’s story choices, I rewrite the scenes or the ending to suit my taste. I don’t let anyone read these rewrites, but it makes me feel better to change the story to how I think it should have gone. You’re at the centre of it all. Your potential influence, that is. For Karen Bowen and her team at ManagerKnowHow (MKH), high leadership effectiveness begins with personal mastery and radiates outward to impact all aspects of life and work. It’s about harnessing self-awareness to maximum effect in all decisions and situations, and Karen has seen many of both. She has over 25 years of combined experience in leading teams, understanding organizations, and helping leaders to transform their cultures and improve their performance. 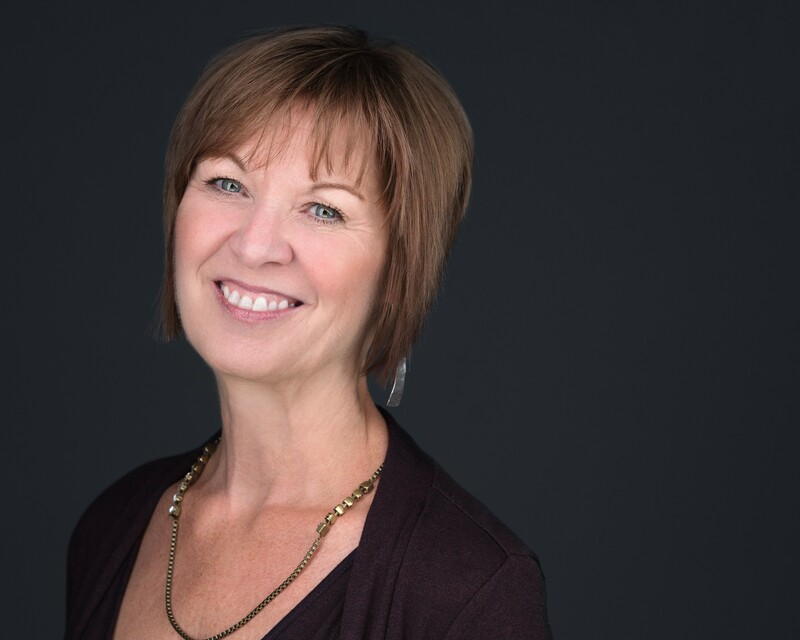 Originally from Nova Scotia, Karen has a BA in English from St. Mary’s University, an MA in Leadership from Royal Roads University, and a Certification in Adult Continuing Education (CACE), in addition to myriad certifications in standardized tools for behavioural and workplace assessment. Her own leadership roles encompass many descriptions, including, among others, teacher, planner, designer, and coach. Always striving to live and lead holistically, Karen is also a fitness trainer and yoga instructor, and an outdoor enthusiast. She is a woman who knows the sphere and nature of her influence. So we were thrilled she took some time to share some wisdom from her work. Let’s jump right in at the MKH Model. In the centre of the circle is “Leading Self.” What, fundamentally, are managers looking to acquire when they come to MKH — in terms of self-awareness and skills — and what is often their ultimate goal? Great question, and the importance of self-awareness is becoming more recognized as the absolutely essential first step in leadership. Leaders and teams that look for a deeper understanding of who they are express curiosity about how they show up, and what aspects of personality, emotional intelligence, values, biases (just to name a few) impact their interactions with both themselves and others. It is critical to recognize that understanding oneself does not mean judging or labelling any aspect of who we are as “good” or “bad.” Rather, it is an exploration in why and how we perceive our world around us, how that impacts our relationships, and the leverage points where we can increase our effectiveness. Astute managers, leaders, and teams show inquisitiveness, tolerance, and open-mindedness when exploring self-awareness. Having worked in a variety of organizations myself, I am keenly aware of the vital role leaders play in setting and influencing the organizational culture. Another term about your brand stuck out for me: “Workplace Culture Partner.” What does that mean in terms of the collaborative exploration you undertake with leaders? When I chose “workplace culture partner” as a descriptor, it came from experiences where I was asked to “fix” things, or to “solve” issues commonly referred to as “dysfunction.” In our world of quick fixes, there can be a perception that I come in, deliver a workshop, and somehow make a culture better. While learning opportunities can be a powerful part of any team initiative, the work really happens on the ground, in the day-to-day interactions, communications, processes. For example, I can teach people communication skills, but I can’t teach them to be good communicators; that is a personal commitment individuals need to undertake. Positive culture is not a finite problem or endgame that can be solved and forgotten about; it is an ongoing challenge you keep working at every day. I often refer to “sticky issues,” a term I learned in my Human Systems Dynamics certification. Sticky Issues are those ones that will not stay solved, that are complex, and that can only be influenced by those directly involved in them. By this definition organizational culture is a sticky issue. I am a partner in the process of learning new skills, identifying the positive patterns that you want to foster, and then fanning and supporting change through dialogue and intervention. I help to leverage “pockets of positive deviance” and coach you through the inherent challenges of change, but I cannot “fix” your culture. That is up to you and everyone in your organization to recognize and get on board with. Pursuing excellence can be simple in premise but it is not easy to do, and it requires persistence. I offer support. Having worked with a few leadership coaches in my career, I know this journey can be complex and challenging, but also highly rewarding. What drew you to this work? Can you point to events in your life, or did you have an innate desire to help others? My journey was indirect, with many twists and turns, as most are. In my very first “real” job I was involved in supporting customers and training. The first eight years of my career were spent with a payroll company, and I travelled the Atlantic Provinces connecting with our customers, supporting them, and helping them to learn the system and manage the change. Then I shifted completely to managing internal training and on-boarding the company’s new employees for a few years. I have been heavily involved in technology, foreign exchange, and most recently healthcare. My industry background is a bit eclectic, but the thread was always helping others to succeed. Through my direct experience in managing and leading teams, I realized I have a passion not for being the manager, but in helping other leaders. I often joke that I tried to leave my career a few times, but it kept finding me, which is as close to a calling as I can imagine. And while my technical knowledge and my understanding of leadership in human systems allow me to design high-quality and powerful sessions, I feel it is my empathy, vulnerability, and compassion for those leading in complexity that keep me successful in this field. I am fulfilled by watching people grow, shift, and stretch into their effectiveness and potential. I learn every single time I interact with my clients, and the richness I receive from working with amazing people, teams, and leaders inspires me to continue to grow, fail, and stretch into my own personal leadership as well. I am so blessed to love what I do! This is a short one. What do the terms balance and well-being mean to you? Can I “LOL” here? I think the answer to this could be very long. However, in short, and to me, balance is all about feeding your mind, your body, and your soul. If one is neglected, the others will suffer, and it is incredibility difficult to be optimistic and resilient if you are off-balance. I also think this is personal, so I would not define balance for anyone but myself. For example, what is the best work-life balance for me may not be the same for another. And I think the two are very closely linked: knowing what balance means you is, in my opinion, the foundation of well-being. There is a myriad of ways to support your own well-being. Reflecting on the areas and strategies that will support you is key. 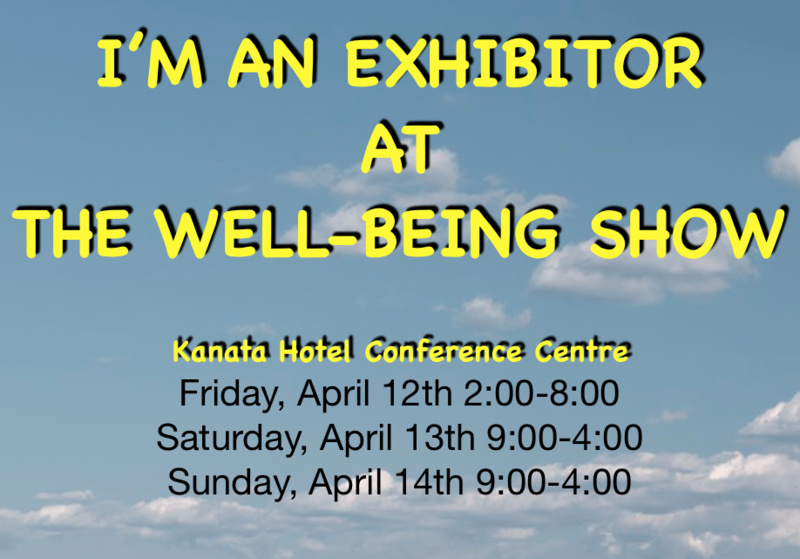 Well-being is honouring all aspects of health: physical, emotional, mental, and perhaps spiritual. This includes high-quality and positive relationships with yourself and others. As for myself, if I am unwell in any of these categories it directly impacts my sense of well-being. Being balanced feeds into my well-being. And if I find myself unhappy, I look to where I am lacking balance. While MKH operates mainly in the realm of business-to-business, you are offering a public course in March 2019 called “Essential Facilitation Skills.” Tell us a bit about this event. What sort of experience are people in for? I am very excited about bringing this course to the general public. During my sessions and workshops, clients often ask me where I learned to be “such a good facilitator” and if I know of a course that will help them to better manage groups, teams, and sometimes individuals, in various scenarios. It could be a team meeting, a larger training session, or something as simple as a project update or a workshop to gather ideas. The theme of the event is that many people “wing-it” without process and techniques that support good group management. I am looking forward to sharing what I have learned over the years on how to have a strong presence in a room and allow flexibility for exploration and structure/agenda management at the same time. Also how to create activities that have an element of fun, but are practical and effective for solving problems, identifying goals, or generating ideas. The biggest concern, not surprisingly, is how to manage the different personalities that show up, sometimes in a challenging way, and how to avoid “derailment” due to personality conflicts, power dynamics, or the context that each individual brings. As an aside and little sneak peek, the premise is to always find a way that allows individuals to retain their dignity; every interaction should be based on kindness and grace. We go through all of this, and more, in this course! I also have a passion for making BIG topics digestible and as simple as possible. Participants will walk away with templates, tools, and techniques they can use immediately, regardless of their experience. My hope is to help others become confident and effective in any type of scenario involving groups. 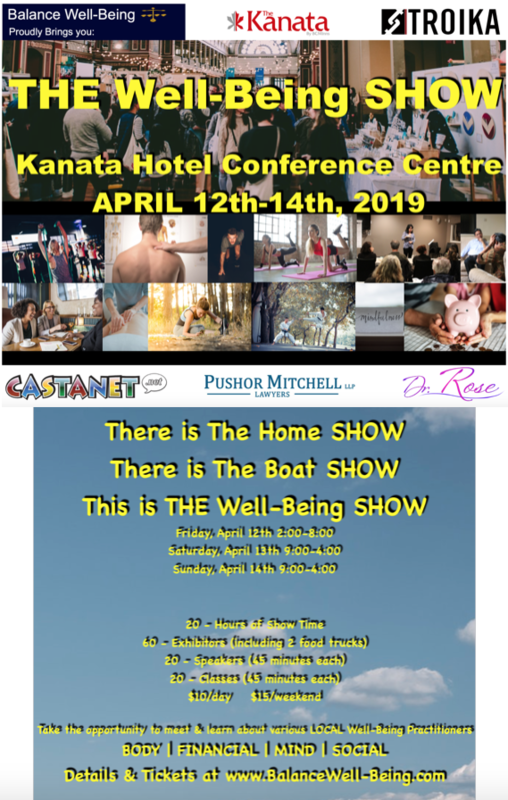 We are also looking to develop “sister” workshops to this event, including “Meeting Management” and “Presentation Skills,” to cover any type of organizational meeting and/or speaking engagement. Stay tuned! The link to Essential Facilitation Skills is here. Our last question is always a playful one. Care to share a fun fact about yourself that most would not know? It can be a personal tidbit, a habit, or a story, etc. Hmm, this is hard, as I am a very transparent person and a bit quirky, so hopefully my sense of fun and humour is obvious. I love to laugh! I have a deep love for animals and can lose hours watching silly pet videos. And I have been known to make my own here and there with my two cats or my pug (he loves cameos in my desk yoga videos). As my company can be seen as very corporate focused, I would like to share my interest and curiosity around how we connect more deeply as human beings and how extremely powerful simple compassion and touch can be. Currently I am working on my certification in Thai Yoga Massage, and when I teach my fitness classes my participants are gracious enough to let me practice with them — so much so, I think the reason they show up for the tough classes is to enjoy the relaxing head massage at the end! Thank you so much for the opportunity to share a bit more about what I do and who I am! Contact Karen at Karen@managerknowhow.com, or learn more on the web via our Website, Facebook, Twitter, and LinkedIn. Relax, release, and recharge. If this sounds straightforward and doable, then you already have an idea of how Jolanda Himmelstein works and what she offers. 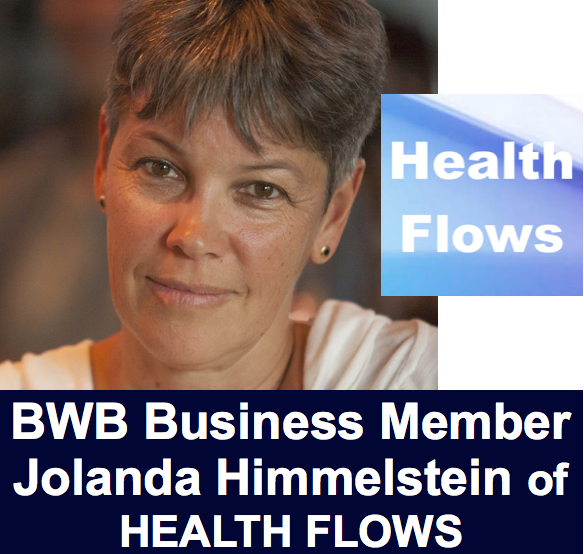 For Jolanda, a multi-skilled holistic practitioner and owner of Health Flows, balance and well-being do not have to be complicated or out of reach. It is about addressing whatever is keeping our energy from flowing nicely. But then, she has been on the path of supporting people for years. After growing up in Switzerland, Jolanda studied in Germany, Taiwan, and China, and also taught in Hong Kong and Singapore. 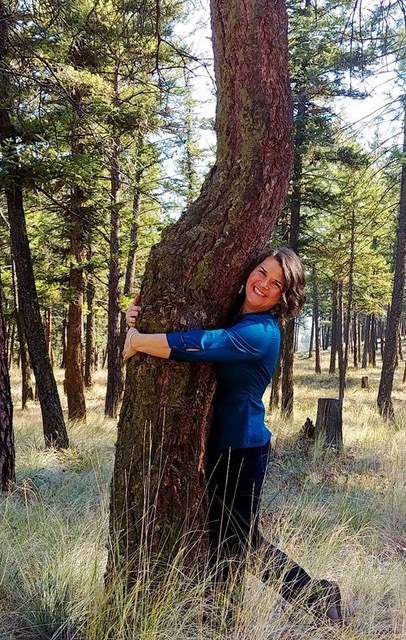 Her passion for Asian culture and her life as a mother inspired her to explore the mind-body connection and how to encourage a person’s innate healing powers to bring balance to any disharmonies. She has certifications in sound therapy, Jin Shin Jyutsu®, Access Bars®, foot reflexology (RCRT certified), and is an experienced Qi Gong teacher. Fluent in four languages, Jolanda originally loved working with children and adults as a language teacher. Today, describing herself as a “global citizen who endeavours to listen to the voice of her heart,” she offers illuminating classes and workshops to help others get in touch with themselves and pursue ongoing health and well-being. So we are thrilled she has shared some of her wisdom with us. In preparing for this profile, I noticed one term kept popping up — “gentle.” This appears to be not only an essential element of your approach but also something clients seek and appreciate. What, in your experience, is not gentle in people’s lives that they seek your services? As we all know, not every experience in life is a gentle one. That in itself needn’t be a problem, as we sometimes grow stronger in the face of adversity. It only becomes a problem when a person loses a sense of who they are and believe what others say about them. This happens often during childhood. When people internalize others’ harsh opinions or judgments, they tend to become unkind towards themselves through their thoughts and actions, often unaware of the root cause of their behaviour. I believe in creating a safe environment for my clients and students where gentleness is a crucial element. Any challenge that a client brings — be it physical, mental, or emotional — can be seen as a hardening, a stagnation of energy. A gentle approach will encourage the innate healing powers within an individual to become stronger, similar to warm sunshine encouraging the frozen water in an icicle to melt and the water to flow again. Your services all serve to restore health through awareness, harmony, and transformation. One discovery, in particular, piqued my interest. The translation of Jin Shin Jyutsu breaks down into “human being,” “creator,” and “art.” I love this language connection suggesting people create their own lives through one or more of the modalities you offer. What’s the first thing you look for when an individual comes to you? When I meet a client, there is more than one consideration going on at the same time. Firstly, I am always excited about meeting another fascinating human being who is led to my practice and ready for more harmony in their life. Simultaneously I learn about the obvious reason why a person comes to see me, such as a severe pain somewhere in the body. I observe and listen with all my senses to pick up some indication of the hidden reason behind that physical discomfort. Often there is an imbalance in the person’s life they are less conscious about, which needs support. This helps me decide which kind of treatment to start out with. Usually I receive more information on how to help an individual during the course of their treatment. This can lead to choosing some sound healing during a hands-on modality, for example. Having lived in many cultures, you must have found some deeply common aspects of being human that connect us, even as our individual expressions of them vary. Fundamentally, how would you define or describe balance and well-being? Allow me to answer this with a metaphor from my Qi Gong classes. We can find balance when we fully exhale what we no longer need and, reaching the turn of the breath, welcome the new breath to freely flow into us, with all the goodness from the earth and the universe (heaven). If there is no resistance anywhere in this process, we are living true to our heart, we are at peace, and thus at home in well-being. Clothes, customs, and beliefs can differ depending on culture, but essentially human beings are in similar situations, experiencing some hiccups, metaphorically speaking, and striving for balance and well-being. I’m curious about your decision to move from Europe to Asia. What inspired you to embark on such a journey? Was it something about life in Europe that motivated you, something fascinating about Asia, or both? It’s all a matter of perspective. For some of my friends in Switzerland, studying in Germany seemed unimaginable. Others felt living in Asia was a big deal. To me, none of those moves — which were motivated by a good university, Chinese language studies, and following my boyfriend, later my husband — were any different from someone choosing this career or that partner. However, it did take a great deal of effort to apply for immigration in Canada (especially since we needed background checks in half a dozen countries where we had lived), uproot our family in Hong Kong, and move to Kelowna. But then again, it was just another stage in life. Personally, I am very grateful for all the stages that led me here, to the beautiful Okanagan! I have happily put down roots in Kelowna. Will there be another move some time? Who knows? As you may know, we like to finish our profiles with a fun fact about our members. Would you care to share something personal about yourself most would not know? Over twenty years ago, when I lived in Singapore, I was on TV playing in the Pyramid Game, a local quiz show. I lost in the first round, but people recognized me in the street afterwards. All in all it was a very interesting experience!